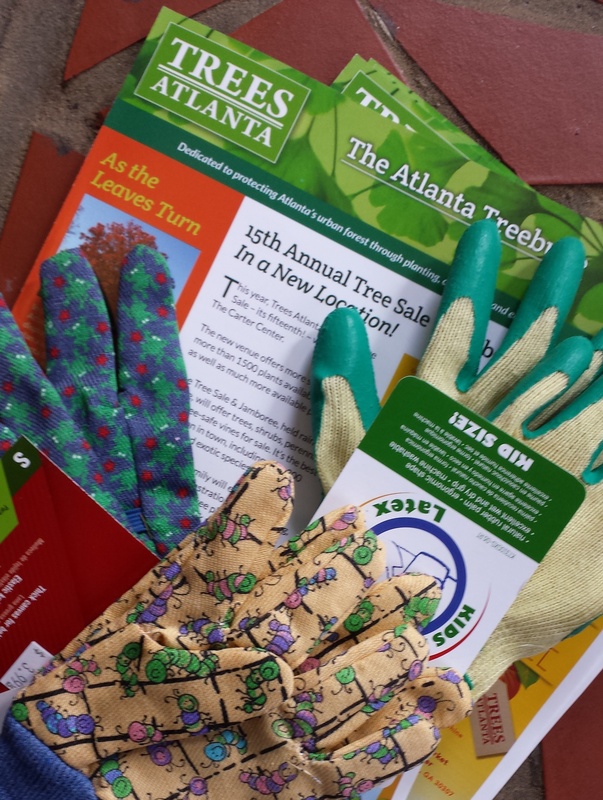 Yesterday’s meeting of the Intown Social Club collected child-sized gardening gloves for Trees Atlanta. These gloves will be used for this important organization’s family programs. Social Arts Atlanta hopes that the gloves donated will make some happy hands for the children participating in this program. The featured dance at yesterday’s meeting was the Hustle. This line dance from the 1970s is now a classic. Made famous by its depiction in the movie Saturday Night Fever, it is interesting to know that the term is now used for a whole class of ballroom dances.1 Those attending learned a phrase of four, eight-count measures that included the iconic upward-right then lower-left arm gesture. The next meeting of Intown Social Club will be Sunday, March 29 from 3:00 pm – 5:00 pm. The spotlight charity will be Children Read. The donation of new or gently used children’s books will take $5 off admission. 1 “Hustle (dance).” Wikipedia. Wikimedia Foundation, n.d. Web. 23 Feb. 2015.